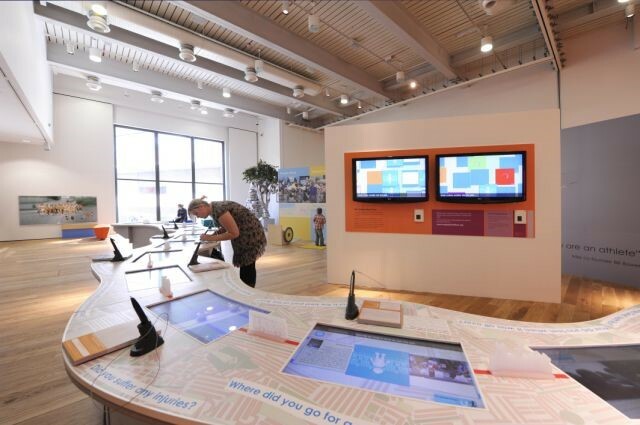 A large scale exhibit consisting of 13 touchscreens and 2 wall displays to explore the relationships people have with the Great North Run, an annual half-marathon attracting over 60,000 runners. The installation was deployed as part of a larger exhibit to collect stories and drawings of costumes from visitors to the museum. These could be drawn using digital pen technology in the museum, and retrieved online when the visitor got home. Over 150,000 entries were collected over the 3 month installation.